Taken over four days when astronomers had “to have the perfect weather all across the world and literally all the stars had to align”, the image helps confirm Einstein’s general relativity theory, Dempsey said. Einstein a century ago even predicted the symmetrical shape that scientists just found, she said. “It's circular, but on one side the light is brighter,” Dempsey said. That's because that light is approaching Earth. The project cost $50 million to $60 million, with $26 million of that coming from the National Science Foundation. Black holes are extremely compressed cosmic objects, containing incredible amounts of mass within a tiny region. Their presence affects their surroundings in extreme ways, by warping spacetime and super-heating any material falling into it. The captured image reveals the black hole at the centre of Messier 87, a massive galaxy in the constellation of Virgo. This black hole is located 55 million light-years from the earth and has a mass 6.5-billion times larger than our sun. To allow the direct observation of a black hole’s immediate environment, Event Horizon Telescope has sought to upgrade and connect a worldwide network of eight telescopes across the globe. These are located at challenging high-altitude sites, including in the Spanish Sierra Nevada, volcanoes in Hawaii and Mexico, mountains in Arizona, the Chilean Atacama Desert, and Antarctica. More than 200 researchers from Europe, America and East Asia are participating in this major international operation. 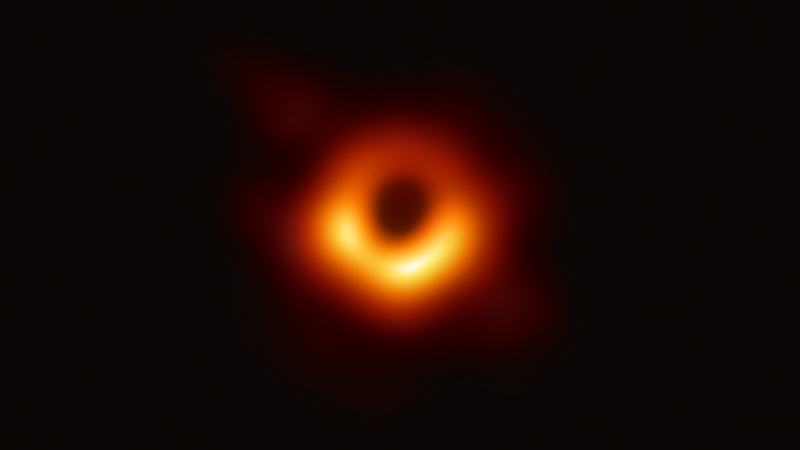 Astronomers on Wednesday unveiled the first photo of a black hole, one of the star-devouring monsters scattered throughout the Universe and obscured by impenetrable shields of gravity. But there is something more to celebrate. It's a historic day for female scientists across the globe as the first picture of a black hole was generated by a young lady named Katie Bouman 29-year-old Computer Scientist. 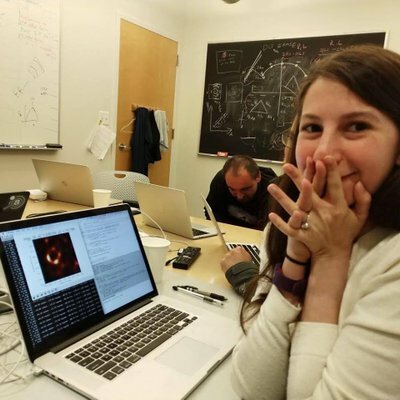 According to reports, she helped develop a computer program which helped in creating the image of the black hole. Bouman also headed a testing team that verified the image for the world to see. Bouman started trending after a picture of her standing next to a table stacked with hard drives was posted on Twitter and Facebook.